Athens’ Own attended the annual WellWorks Holiday Gathering on December 18, 2012. This was Athens’ Own’s 5th year attending this event. 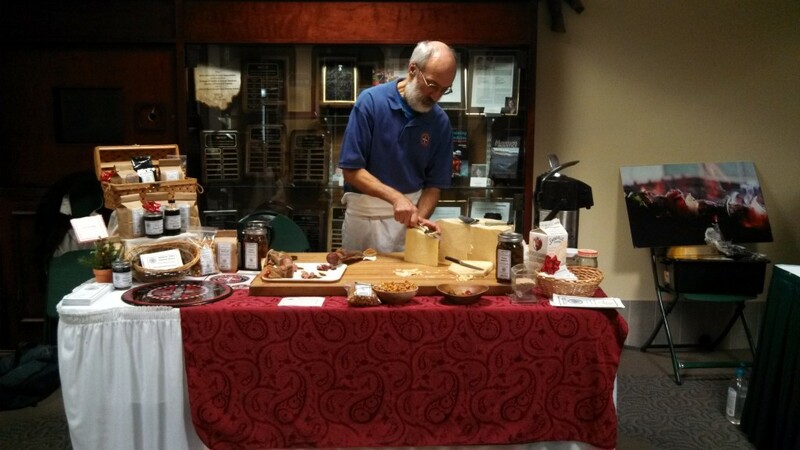 Constantine and Alyse were present to hand out samples of Cheese, Beef, Cashews, Coffee, and Jalapenos. The cheese was a crowd favorite! As usual, Athens’ Own did not provide disposable cups for coffee samples. When we are asked why not, we explain that our company aims to reduce our carbon footprint, reduce waste production, and prioritize reusable resources. Constantine helped rally others to the cause by explaining that we are in the middle of the zombie apocalypse, and there are no disposable cups left. So if you want coffee, you should carry a cup with you! Nearly everyone who we discussed this idea with was interested and proud of our efforts to be more environmentally-friendly with our business practices. This also opens up a future opportunity for educational materials and/or signs, explaining this idea for anyone interested. An eye-catching display of products and Alyse’s efforts at artistic design made our table “the best it has ever looked”, according to Constantine, a sentiment echoed by many of the evening’s guests. We handed out nearly all of our flyers and brochures, and engaged many guests in discussion about the company, our products, and our practices. With a two-person staff this year, we were able to take turns visiting the other tables, saying hello to our friends and colleagues, and sampling other business’s goodies. Athens’ Own will be evaluating the ongoing success of this event by monitoring our website traffic, online store orders, and public dialogue throughout the next few weeks and onward. We hope to continue our involvement with the holiday gathering in future years. We’d like to extend our sincere gratitude to WellWorks for inviting us to participate and for putting on such a great event! 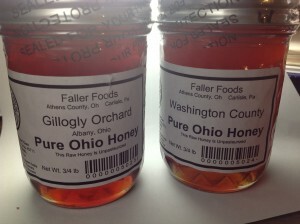 Athens’ Own Products for sale online now! Athens’ Own officially launched our re-vamped website this month, including an all-new online shop. Using WordPress software, our new site includes information pages, community forums, blogs, polls, and newsletters. More updates to come include profile pages for our team members, multimedia pieces, interactive presentations, and videos. The online store, powered by the Woocommerce plugin, currently has all Athens’ Own products available for sale. Customers can pay via paypal, credit/debit cards, or check, and we can ship to all 50 states, with the possibility of international shipping in the future. We have already received a few online orders, and we hope with added advertising, that volume will increase quickly. This new venture also opens up many possible future opportunities for interns, employees, and volunteers. – Now for sale at Seaman’s in Athens, and through Athens’ Own at the Broadwell Hill Learning Center. – Bulk quantities available, contact constantine@athensown.biz for more information. – Tasting notes coming soon! 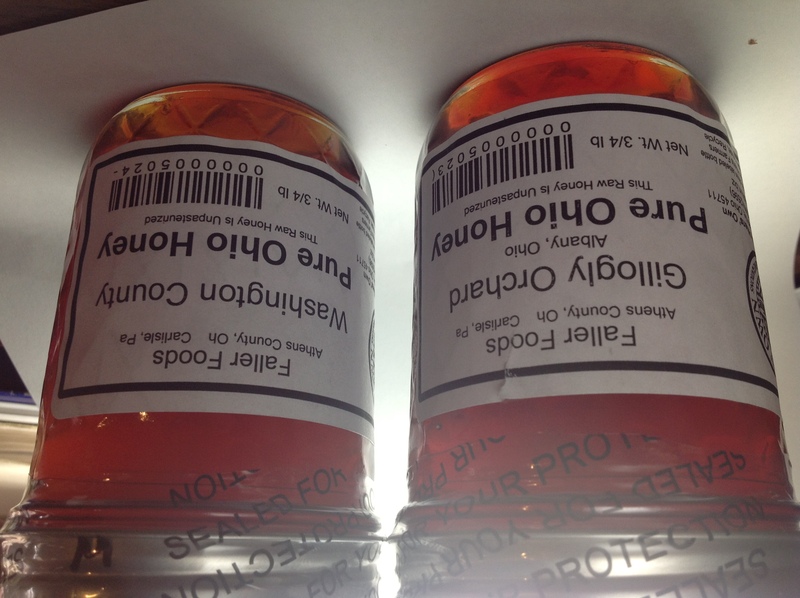 Ohio Honey – Now available from Athens’ Own! Dancing Tree distillery (Visit their site Here) has recently released their Coffee Liquor, made with our own Dawn Chorus Coffee! 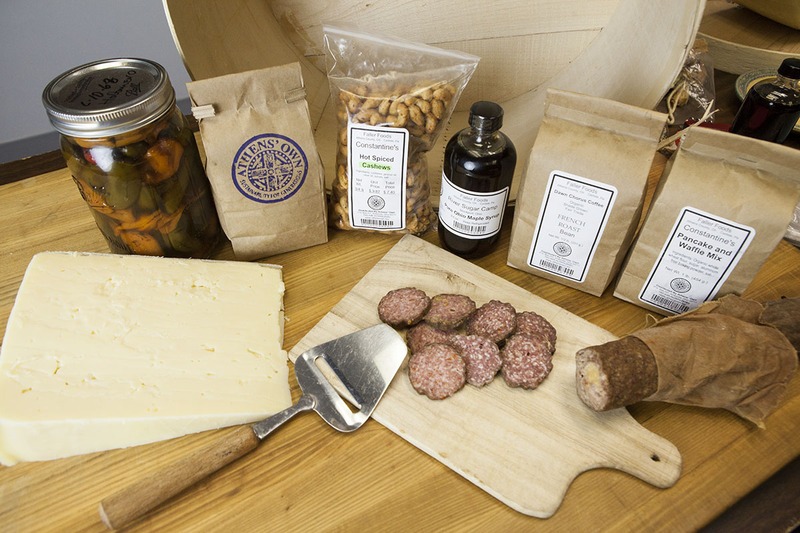 This local business is focused on the community food network, and we are pleased to be a part of this new product and their business family! Miles McFadden has recently returned to the Athens’ Own booth at the Farmer’s Market, and has been sharing his cooking skills with our patrons. Along with our usual Dawn Chorus Coffee, Cheesy Grits, and Steel Cut Oatmeal, we have been serving Miles’ hamburgers with Ohio potato chips (from Shearers), and Frog Ranch pickles. Our friend Patricia at Adam’s Rib has been working with us to make cooked greens, which are a delicious addition to our famous grits. Thanks to Patricia and Miles for their cooking expertise and great additions to Athens’ Own! Kaitlyn Bernaur, a long-time friend and contributer to Athens’ Own and the Broadwell Hill Community, recently gave our products their first ever professional photo shoot. Kaitlyn’s photos will be appearing soon as our featured product photos on the new website and store. Thanks again to Kaitlyn for her passion, talent, and outstanding dedication to Athens’ Own! Athens’ Own intern Mathew Roberts returned this semester to continue his work with us. 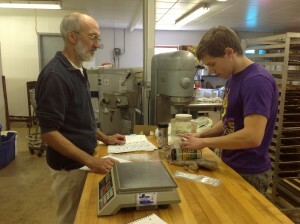 Mathew has been spending his time both doing hands-on learning and at-distance writing for various audiences. Some hands-on learning this semsester included packaging coffee and cashews, picking up grain from Jackie O’s, and making deliveries to various Athens’ Own Partners. Mathew’s writing this semester included a published profile piece in Ohio University’s College Green magazine about Constantine and Athens’ Own, as well as several strategic communications documents and team reports for Athens’ Own internal use. We are glad to have Mathew as a member of our team, and are looking forward to continuing to supplement and enhance his education through internship learning opportunities. In other intern news, we are hoping to increase intern involvement with Athens’ Own throughout spring semester. We have been advertising via flyers and online postings, and welcome all interested applicants. Please check out our intern site (www.interns.athensown.net) or send an email to internships@athensown.net for more information. Thanks for reading! Merry Christmas and Happy New Year from the Athens’ Own Team! This newsletter was written and published on December 19.2012, by Alyse Carter, Athens’ Own Liaison/Public Information Officer.